Nebraska Tourism Commission kicks off 2013 Passport, including literary tour. LINCOLN, NEB. (May 3, 2013)—Sen. Ken Schilz and state officials celebrated National Travel and Tourism Week by kicking off programs that promote travel opportunities across the state. National Travel and Tourism Week, celebrated during the first full week of May, is the annual salute to travel in America and its value to the U.S. economy. In 2012, travelers spurred $2 trillion in spending, resulting in $129 billion in tax revenues. This spending also supports 14.6 million American jobs – jobs that cannot be outsourced. Here in Nebraska, direct travel spending exceeded $3.1 billion in 2012, generated $15,878,674 in lodging tax revenue and supported 45,600 jobs. In fact, tourism is one of the state’s top three industries, alongside agriculture and manufacturing. National Travel and Tourism Week is an opportunity to highlight the benefits of traveling in our own state. Travelers dine out, sleep at hotels, attend events, tour attractions and buy souvenirs, among other things, all of which support small businesses and reduce the tax burden on local communities. Today, the Nebraska Tourism Commission and the Game and Parks Commission are launching the 2013 Nebraska Passport program and the Great Park Pursuit. 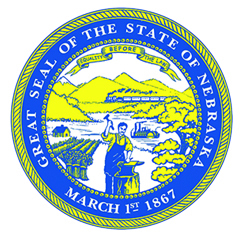 The official state Passport program encourages travelers to explore Nebraska, collect stamps from participating attractions and then redeem them for prizes. The 2013 Passport features 80 attractions on 10 themed tours. A partnership with the Nebraska Hotel & Motel Association will provide lodging discounts to Passport participants who mention the program when making a reservation at a NHMA member’s establishment and who show their passport when checking in. A list of hotels can be found at NebraskaHMA.com. Another partnership, with Nebraska Lottery, is providing new prizes for the program. Participants have until Sept. 30 to visit attractions and redeem their stamps for prizes. For each completed tour, participants receive a Nebraska Passport T-shirt. In addition, travelers can win 20 $1 Nebraska Lottery Scratch coupons (for 20 stamps) and a digital camera (for 40 stamps). A grand-prize drawing for an iPad mini will be held in October. An additional drawing for 300 $1 Nebraska Lottery Scratch tickets will be held for all participants, 19 and older, who turn in passports with at least one stamp. Passports are available at participating stops. A list of stops and more information can be found at NebraskaPassport.com. A second summer program, the Great Park Pursuit, promotes active lifestyles while increasing awareness of the nature-rich outdoor recreation opportunities throughout the state. Individuals or teams can visit 20 participating parks through Sept. 16 and follow clues at each park to locate a post, where they make a tracing of a nature impression. The impressions can be mailed in for a chance to win prizes. More information and a list of parks can be found at negpp.org.